I’m thinking about installing a fire extinguisher system in my car like the one below. For one my new cage is not really easy to get out of, and two Id like to keep fire damage to the car minimal if it were to catch fire. Has anyone installed one of these? Where did you put the bottle and the nozzles? I have the Firebottle RC-500 system installed in my Boxster. Bottle is in the frunk. One nozzle in the frunk, one in the passenger compartment under the dash pointed toward the driver and one in the engine compartment. Mine is the manual pull system. It runs FE-36. 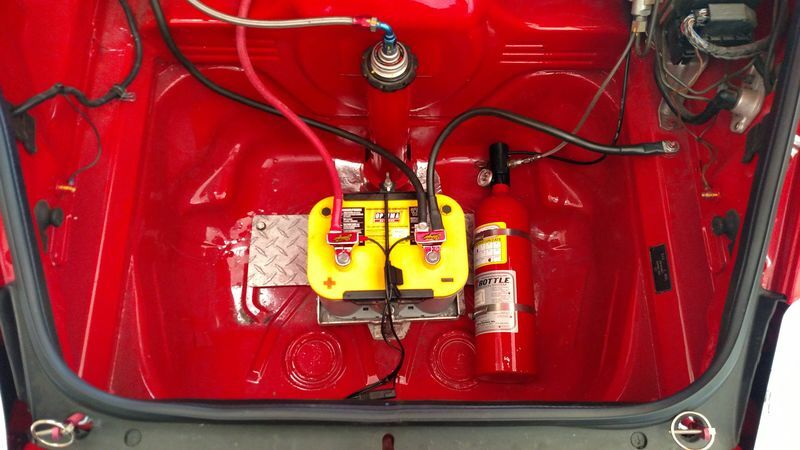 "FE-36™ is proving to be the standard in-kind replacement for Halon 1211 in portable fire extinguishers. FE-36™ has comparable performance and efficiency to Halon 1211, lower toxicity, as well as zero ozone depletion potential. In a portable fire extinguisher, FE-36™ is discharged as a stream of gas and liquid droplets that penetrate into the fire area, ceasing the combustion process through heat absorption and a chemical interaction. FE-36™ is also a replacement for Halon 1301 in local application systems, such as modular systems." All times are GMT -8. The time now is 02:19 PM.